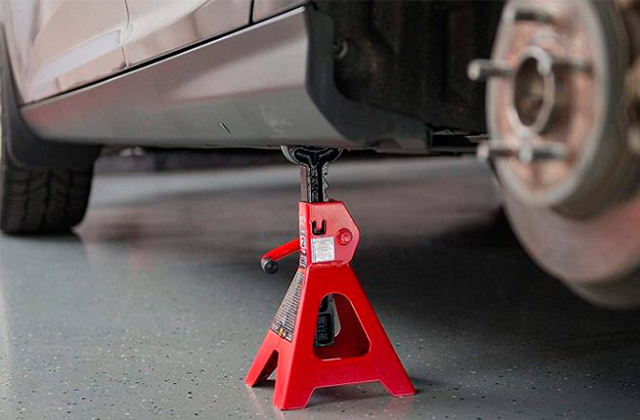 The increased base provides stability on any surface, preventing accidental tipping of the device. Moreover, its design is equipped with a foot stabilizer to eliminate play when pumping fluid. No Quart Markings (Only Liters). This model will become indispensable for service stations and service centers, which often face the replacement of oil and other technical fluids: extracting and dispensing features will help in the shortest possible time to put in new oil without spilling a drop. 12.4" x 9.3" x 24"
The reservoir here is made of Polypropylene, which can withstand high temperatures (up to 200°F) —this solution is especially important when you need to make an emergency pumping of still hot oil or antifreeze. 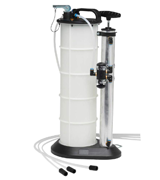 The EWK Oil Extractor compares favorably with its counterparts in that it can connect to an air compressor and effectively pump large volumes of liquids without having to crank the pump manually. In this case, a pump is also present here, if there is no compressor at hand. 8.7" x 8.5" x 23"
Included with the device come 2 sealed plugs to securely close the filled container and easily transport it to the garage or the place of disposal. 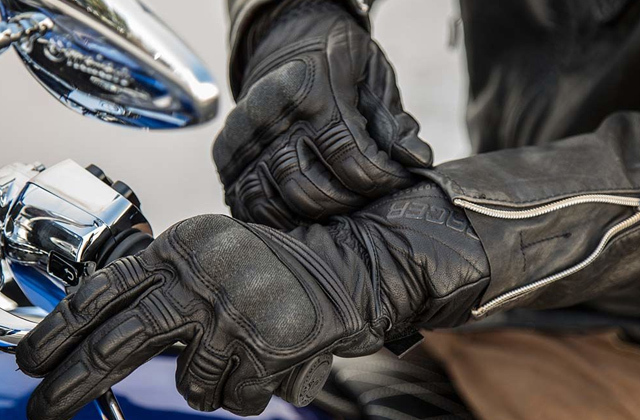 The ergonomic handle is another plus in terms of convenience, because the total weight can reach as much as 23 lbs. Difficult to determine how full the tank is. 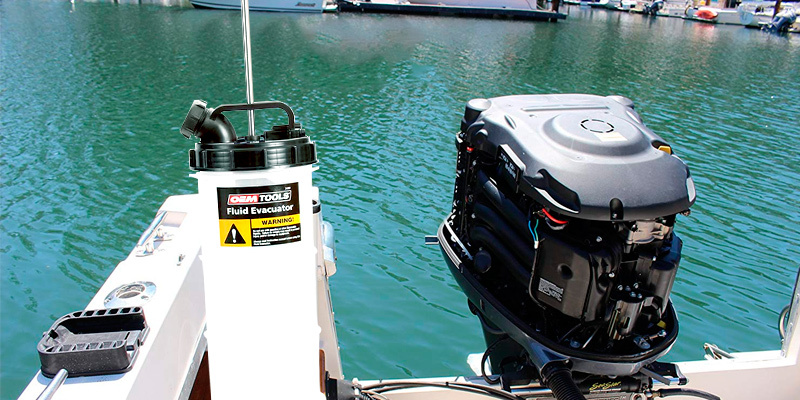 This Oil Extractor is recommended for operation not only with cars, but also with motor boats: a housing with a wide base and a practical tube simplifies draining the liquid, even if the hole for the oil dipstick is in a hard-to-reach place. 12.7" x 12.7" x 22"
The total length of the disptick hose is as much as 7 ft., so that with it you can pump out almost all the waste oil, which is often in large quantities located at the bottom of the crankcase. This solution minimizes the risk of mixing old and new (poured) liquids. The pump handle is not ergonomic. If you prefer to independently perform simple maintenance work on your car, then this oil extractor will allow you to carry out a high-quality oil change, saving time and money by preventing a visit to an expensive service center. 9.8" x 9.9" x 21"
A special safety valve will not allow the tank to overflow, even if the total volume of technical fluid exceeds 1.4 gallons. The massive pump arm and large stroke makes the pumping process even easier and faster. 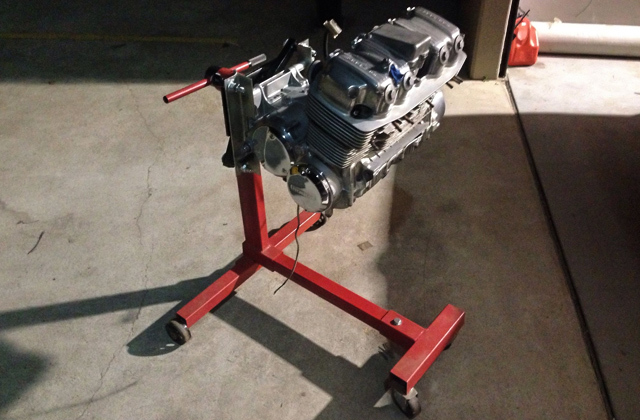 An inexpensive and functional device that should be in the arsenal of every person who owns a car, motorcycle or other vehicle with an internal combustion engine. 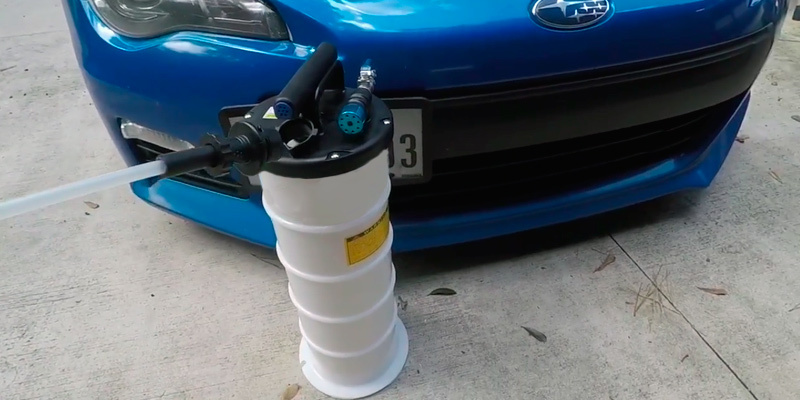 Using this model, you can easily extract oil or other fluids from your vehicle without worry of spills or leaks. 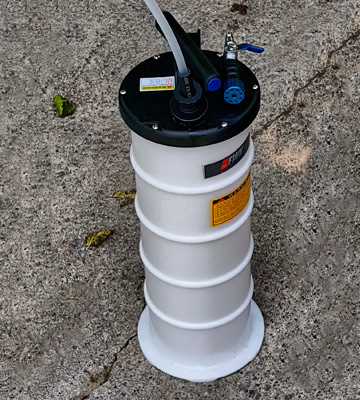 8.6" x 8.6" x 19"
There are a large number of different oil extractors out on the market, and many of them are made for different environments, whether it be for a professional mechanic or for a home hobbyist. With this huge number of different models available, finding one that's of professional quality and durability can be difficult, as even many of the cheap models claim to be made for professional use. As a professional mechanic knows, though, such a person needs professional quality tools to be used in such an environment, otherwise problems can and will be numerous. 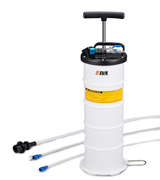 The Mityvac 7201 Fluid Evacuator Plus is a high-quality model that is not only made for professional use, but it has the durability and capabilities that professionals need in such a tool. 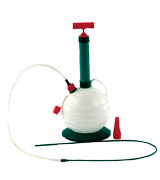 This oil extractor uses manual pumping, which is fine for most people, but also includes not only the ability to extract oil, but to dispense it as well. 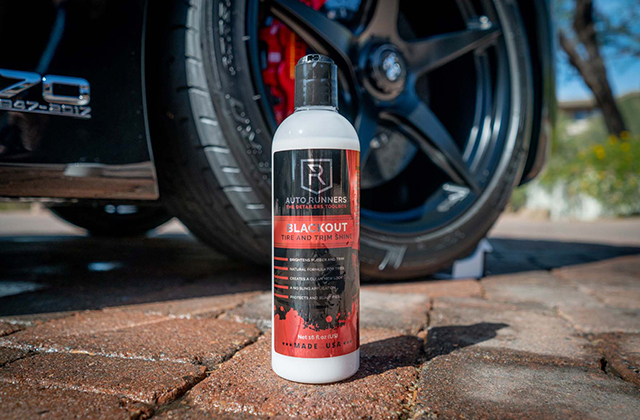 What's more, this device can be used for more than just replacing oil in a car engine, as it is well suited to working with any type of car fluids that need to be replaced. 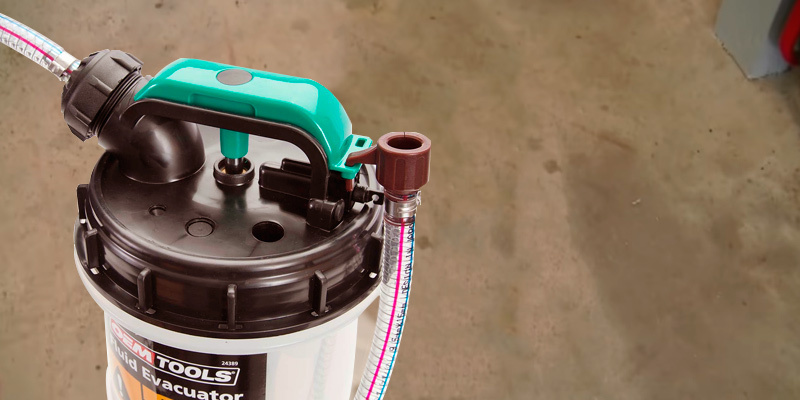 That alone makes this oil extractor well worth its value, as this one device can replace multiple tools that are often necessary in a mechanic's arsenal. A professional quality tool is not of much use if it isn't highly durable, as any mechanic knows. Thankfully, this oil extractor was made with durability in mind. 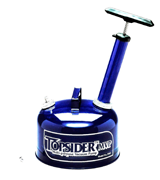 The large 8.8-liter (2.3 gallon) oil reservoir is made of durable polyethylene, which makes it highly resistant to any type of rust or corrosion, and ensuring a long service life. The manual pump is also well constructed with this same durability in mind, and should last you a long time without any worries of it breaking or even getting jammed. Plenty of extra features are included with this heavy-duty oil extractor. The extended base of the unit provides a large measure of stability, and it even includes a foot stabilizer that eliminates play of the device on any surface, ensuring that operation of the device remains smooth and without worries of it tipping over. An automatic overflow control valve also prevents the extractor from overfilling by automatically shutting off when the tank holds 8 liters of fluid. 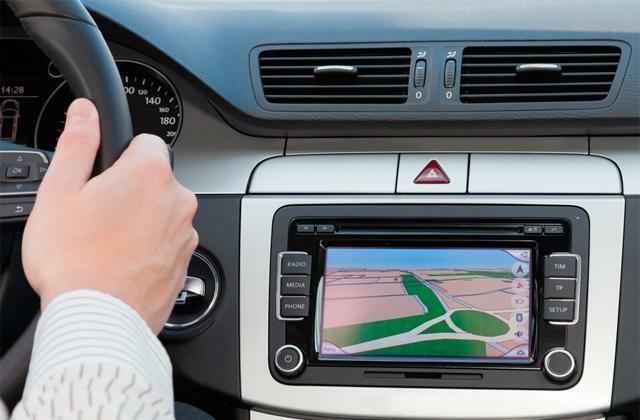 Along with these features, plenty of other extras come with this device, including multiple dipstick tubes of varying lengths and the high-quality main evacuation tube. For any professional that needs a highly durable and stable oil extractor that can dispense fluids as well, this tool will be a dream come true. Many of the oil extractors that are available are typically the manual type, where the extraction is controlled by manually pumping the device. There are some benefits to having a manually operated device, but there are also times where having a pneumatic oil extractor, with pumping controlled by an air compressor, would be greatly beneficial. Unfortunately, most models out there just don't allow for this, leaving the operation to be completely manual. This presents a problem for those who require a different solution. The EWK EB0103 Pneumatic/Manual Oil Extractor is the perfect solution for those who want a dual type oil extractor. This device supports manual operation just like most other oil extractors, but it also allows for pneumatic operation as well. While it retains the manual operation that some people prefer in certain situations, the pneumatic operation allows for extracting the oil without having to manually work the device, and what's more, it allows for the full extraction of fluids in just a matter of minutes. The device can extract up to 1.6 liters per minute while in pneumatic operation, allowing for oil or other fluids extractions to be performed in record time. 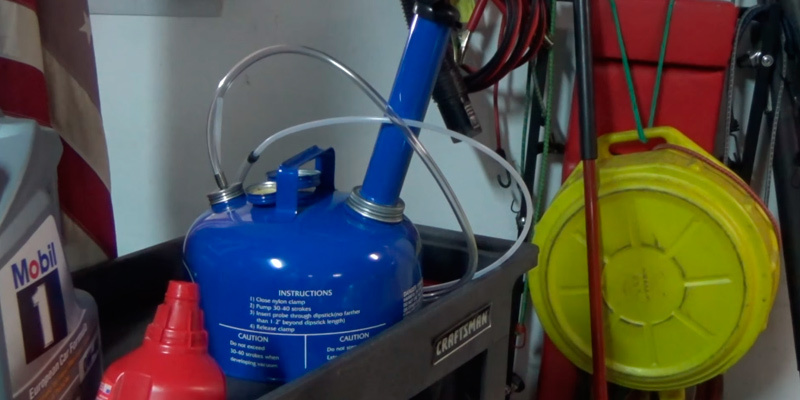 The ability to operate this pneumatic oil extractor either manually or with an air compressor is a great benefit, but there is more to this device than just this ability. This oil extractor includes a 1.7-gallon tank that is made with Polypropylene, which can withstand high temperatures of up to 200°F. This makes this fluid extractor especially handy in situations where you need to perform an emergency extraction of oil or antifreeze while it is still hot, preventing the possibility of injuring or damage due to contact with hot fluids. What's more, this tank design also helps prolong the lifespan of the device, making it extremely durable and resistant to corrosion. Plenty of other features are included in this vacuum oil extractor. The device includes a quick drain spout in an eagle mouth design, which allows for quickly draining fluids while preventing spills. A safety device also ensures safe operation by locking the hose and spout securely, ensuring that no fluids are leaked during the extraction process. While in the included hoses may be a bit short for some uses, there are made of high-quality materials and can also be easily replaced with longer ones if necessary. 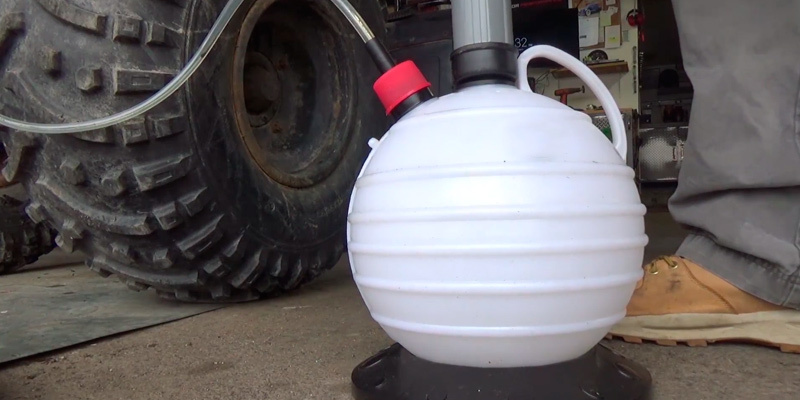 All in all, this model just might be the best fluid evacuator thanks to its two-way operation. Fluid extractors can sometimes be notorious for not being the easiest devices to operation. 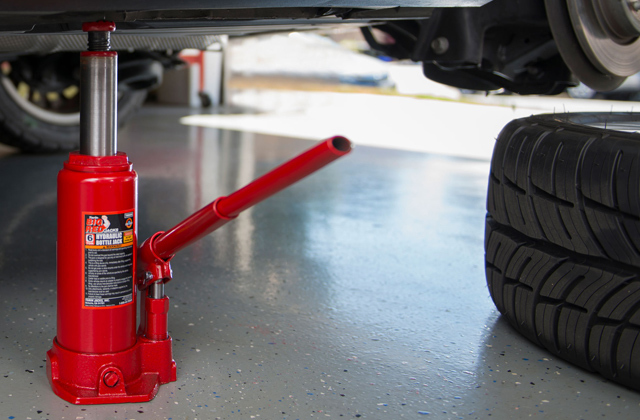 Often, there arise problems that can prevent the operation of the device from working smoothly, such as a jam of the pump handle, clogs in the tubes caused by sludge or debris, or many other problems that commonly arise with manually operated devices. Someone who has encountered these problems before most likely will want to find a device that was designed with these problems in mind, and is made to work around or eliminate these problems entirely. 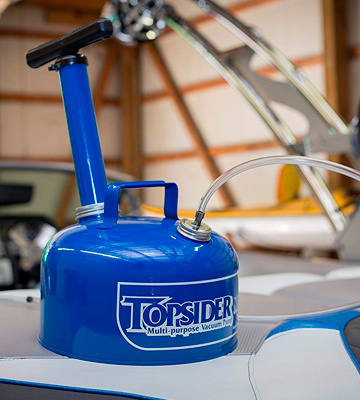 The Air Power America Topsider (5060) Multi-Purpose Fluid Removing System is a fluid extractor that was made with both ease of use and reliability in mind. The design of this oil extractor is easily noticeable when first using it, as the pump handle has an ergonomic design that makes it quite easy to operate, with fluid motions that won't cause resistance or prevent quick fluid extractions. The base of this model is both short and wide, giving it a low center of gravity that ensures that it won't tip over or spill during the extraction process. Even the included carry handle adds to its ease of use, making it easy to carry even when full of extracted fluids. 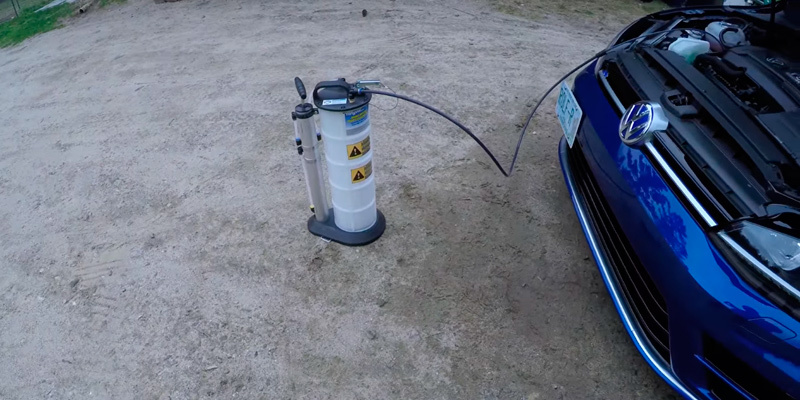 Another great feature of this fluid extractor is the portability of it, which allows for easy transportation, and which also means you can use it anywhere, and with almost any type of vehicle. For instance, those who need to extract fluids from a boat will have a difficult time with most oil extractors due to their bulkiness and weight, but this model is perfect for such a situation. The device also includes two sealed plugs that ensure that nothing spills out of the device when transporting it to dispose of the fluids. The carry handle, as noted before, also aids in this, making it easy to carry in a way that prevents excess sloshing of the fluids and preventing accidental spills. The capacity of the fluid tank is only 8 quarts, which may be a bit small for some purposes, but it is large enough for most uses. The compact design of this fluid extractor makes it easy to store when not in use, and the removable pump ensures that you can store it in a small space without it getting in the way. Included with the device are two dipstick tubes that are four feet in length, which should be long enough to be suitable for any type of vehicle. 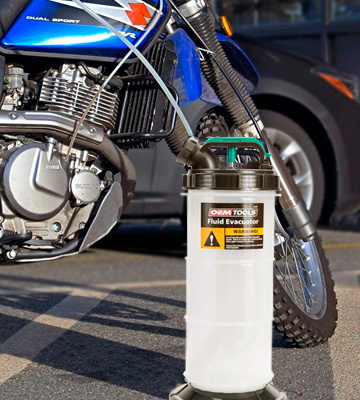 If you are needing to extract fluids not only from a car engine, but from another vehicle such as a boat, motorcycle, or ATV, then this model might be the best fluid evacuator for such uses. 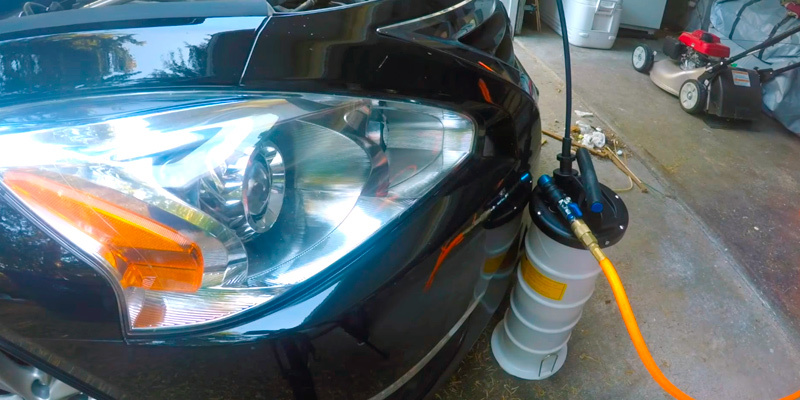 Changing the oil on your car can be a difficult, time-consuming, and even messy procedure. Having to jack up the car or slide underneath it, remove the oil pan, and wait for the oil to drain out can take up a lot of time and energy. What's worse, some car manufacturers make it quite difficult for an ordinary person to remove the oil pan, meaning that you'll possibly have to remove some other parts first before you can remove it. To add to all of this, draining oil can be messy, especially when it comes to oil splashing or spilling out of the pan onto your driveway. And we all know what kind of a mess that oil leaves behind. 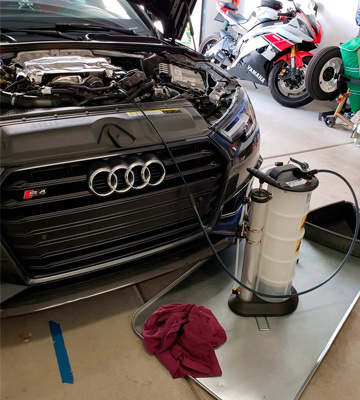 The Hydro-Turf OIL01 Oil Extractor helps many car owners by greatly simplifying the process of changing not only your oil, but other fluids as well. 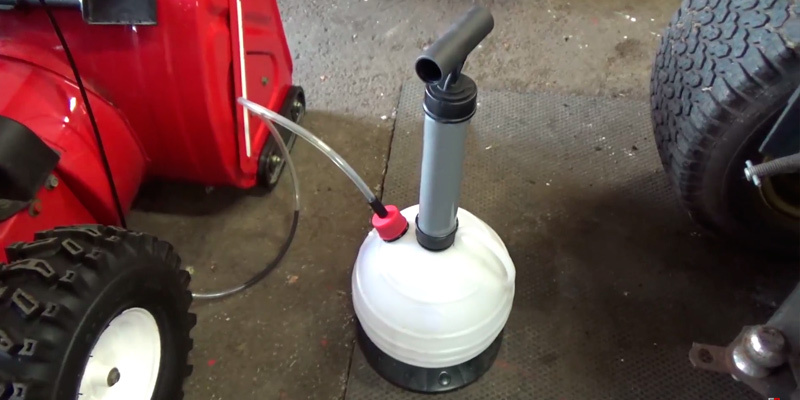 This fluid extractor uses a mechanical pump to create a vacuum inside of the fluid tank, which allows for oil or other fluids to quickly and easily flow out of the engine. Operation of the device is quite simple, as it only requires a few pumps of the handle to create the necessary vacuum for extracting fluids of any type. 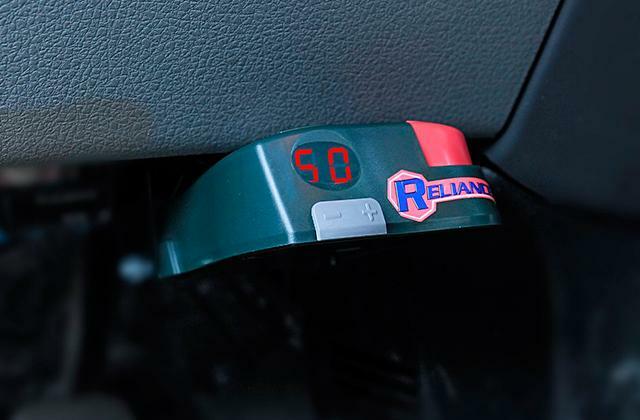 Using this to quickly change the oil in your car or other vehicle helps save a lot of time and money, with just a couple of oil changes easily making up for the cost of the device. Many of the design aspects of this fluid extractor speak of its sturdiness and reliability. The spherical shape of the oil reservoir may seem odd at first glance, but using the device will show that this was a smart design choice. The shape along with it's extended base provide a sturdy foundation for wherever this oil extractor is placed, preventing it from easily tipping over or being disrupted during the extraction process. The tank holds up to 1.57 gallons of fluids, which should be sufficient for most vehicles, regardless of the type of fluid being extracted. A carry handle is also on the device, aiding in transportation and making it easy to pick up when full. Along with these features, the device includes a pour spout that makes pouring out the contents of the tank quite easy. 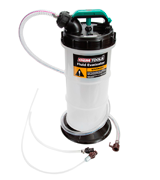 The pump can also be removed from the device, making it quite easy to store, even in a confined space. The dipstick tube included is 7 feet long, making it long enough for pretty much any vehicle that you would use it for, even a large truck. The only downside is that the pump handle is not very ergonomic, but this is a small complain that quickly disappears when compared to the great benefits that this oil extractor brings. Oil extractors by their nature are relatively simple devices, but usually there are some trade-offs made in their design. Ones that are made to be effective and fast may not be portable, whereas ones that are billed as portable may not work as well as more stationary models. Of course, this can be true of a lot of different products, but it seems to be especially true of oil extractors. 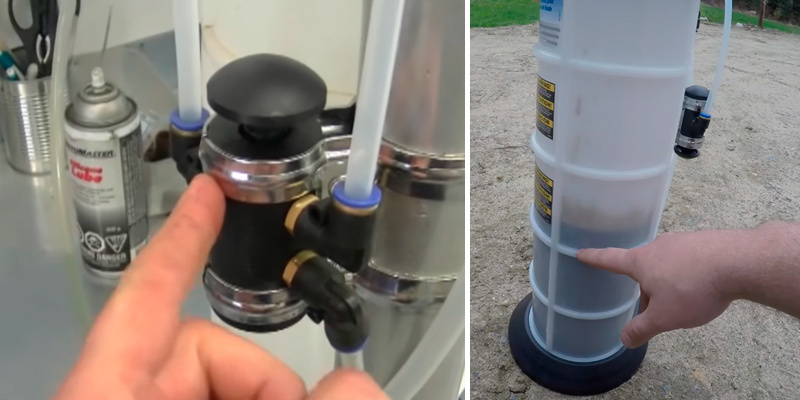 Those who are in need of a portable oil extractor would like to find one without such trade-offs in its design, but to some this may seem to be an impossible task. The OEMTOOLS 24389 Manual Oil Extractor was designed not only with portability in mind, but also as a well-functioning device that works well in extracting many types of fluids. This oil extractor combines many of the great features that are found in different models, and includes them in a lightweight yet durable structure that is both easy to use and safe to transport almost anywhere. This fluid extractor works well not only with cars, but also other vehicles such as boats, motorcyles, ATVs, and even industrial machinery. 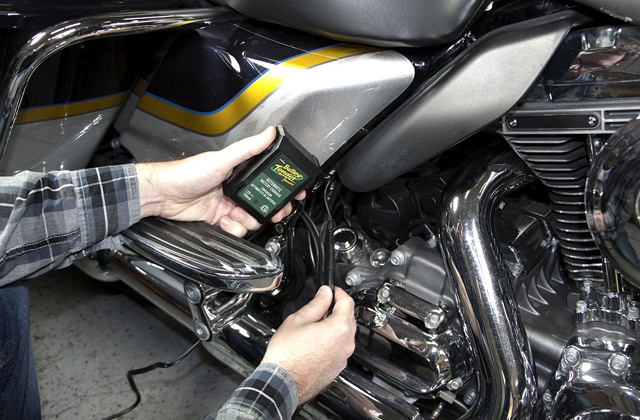 Anything that uses fluids for lubrication, cooling, or other purposes can be serviced by this device in a safe and easy manner. The portability and other design aspects of this oil extractor make it a truly vesatile piece of equipment. The top of the device features both the pump and a carry handle that greatly simplifies transportation while making it easy to operate. The extraction valve is also located here, where the included 5 foot long dipstick tube attaches to it. Two specialized adapters are also included with it to ensure that the dipstick tube has a tight fit in order to ensure there are no leaks during the fluid extraction process. A great feature that is also included is the overflow protection, which automatically closes the valve and prevents overflow or spillage whenever the tank is full. This is especially important, as the 1.4-gallon tank is a little small capacity for such a device. Still, this capacity should be sufficient for most uses, regardless of the type of fluid being extracted. The vacuum caused by the pumping action produces a quick and steady extraction that works best with low viscosity fluids, ensuring that all fluids are extracted in a matter of minutes. If you're looking for the best fluid evacuator that was made with portability in mind, you should definitely give this model a try. What Is an Oil Extractor? Car engine maintenance can be a hard and risky business. With all of the different things that can go wrong with an engine, as well as the inherit dangers that accompany such problems, fixing problems with a car of any type can be a thankless job. Whether you are a professional or hobbyist mechanic, having the right tools for fixing problems is an absolute must. One of the tools that should be in the arsenal of any mechanic is an oil extractor, a device that is used to pump out old oil from an engine. Changing oil in a car is usually a matter of removing the oil pan and letting the oil drain from the crankcase. However, there are times when oil (especially really old, cheap oil) gets clumped up and causes a blockage, preventing all of the old oil from being able to drain properly. At other times, you may come across a car that makes it nearly impossible to quickly and easily change the oil without an entire inventory of tools. In these cases, an oil extractor can help remove all of the old oil along with any sludge that may be in there, making oil changes a much easier procedure. On top of that, oil extractors can also be used for easily replacing other car fluids, such as antifreeze and brake fluid. 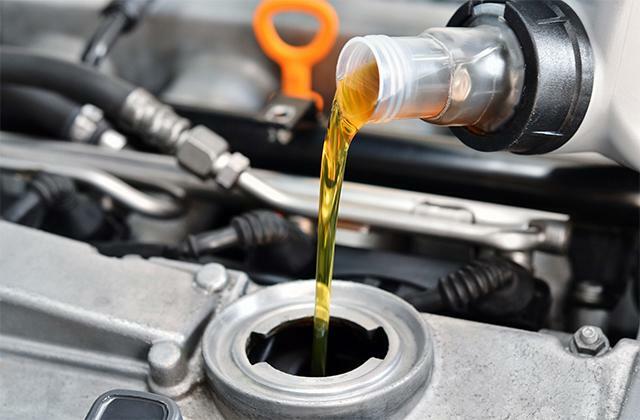 If you are trying to find the best oil extractor to greatly speed up and simplify the process of oil changes, take a look at some of the best motor oils to use with your car. Oil extractors come in a large number of varieties, but almost all of the different models serve the same primary purpose - to extract oil from a car engine. Beyond this primary purpose, the different characteristics and capabilities of each model can differ greatly. Some will serve more purposes than just extracting oil, while others are pretty bare-bones models with the task of extracting oil its one and only use. Of course, this great variety in the different models can sometimes cause confusion for those looking for an oil extractor, but being aware of the different characteristics and capabilities, such as the ones listed below, will greatly help in narrowing the field for finding the best oil extractor for your needs. The first thing to pay attention to is the type of oil extractor a particular model is. The two main types available are mechanical, which typically rely on manual pumping for extracting the oil, or Pneumatic, which typically rely on a separate air compressor connected to it to power the pump. Some models may include both mechanical and pneumatic capabilities, so if you want the latter, make sure that the model you choose supports it. Another important capability to pay attention to is the usage of the device. Almost all oil extractors are made to extract oil from a car engine, some may also include the capability to dispense oil as well. Those who need both capabilities would be well served in going for a model that supports these usages. The max capacity of the oil reservoir is an important characteristic to be aware of with any oil extractor that you purchase. This capacity will show just how much oil the extractor's reservoir can hold before it needs to be emptied. If you are aware of your car's oil capacity, it's best to find an oil extractor that supports no less than that same capacity, otherwise you'll find the process of extracting oil to be a bit more tedious and time consuming that it would otherwise be. Finally, pay attention to the extras that are included with any oil extractor. These extras can include a wide number of different features, such as a quick drain pour spout, dipstick tubes, stabilizers for the device to keep it upright during use, and even overflow prevention capabilities that will keep excess out from spilling out should you reach the maximum capacity of the oil reservoir. 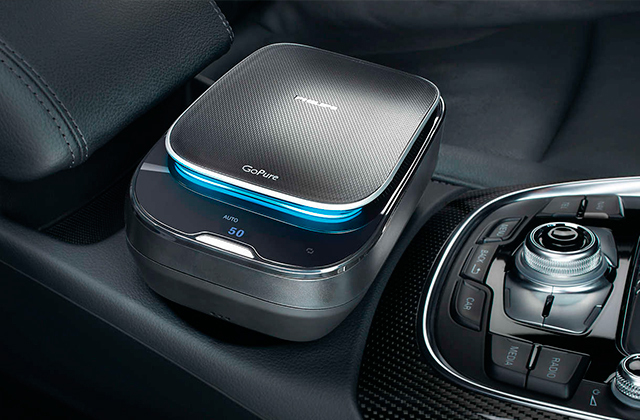 If any of these extra features are ones that you will want or need, then make sure whichever model that you choose includes them, ensuring that you get the best fluid evacuator. 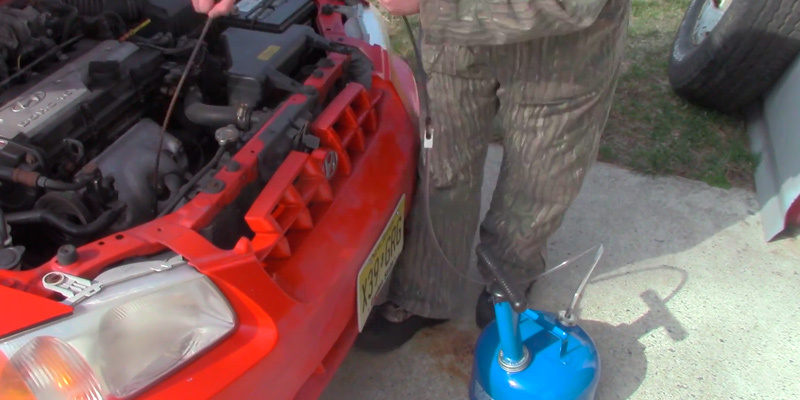 There's a lot to be said about how to properly change the oil in your car or other vehicle. Usually, changing oil in a car involves having to get underneath the vehicle, remove the oil pan, change the oil filter, and drain out all of the old oil before having to replace everything and put in new oil. It's a long and sometimes complicated process that isn't quite the easiest thing in the world to do, and with how some cars are made, it can sometimes be extremely difficult. 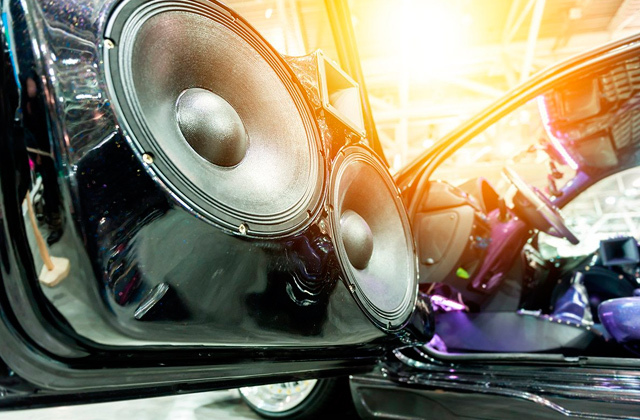 Of course, there is always the option of taking your vehicle to a service center and having professionals do it for you, but having this done regularly can be expensive. Some people just prefer to change their own oil, yet don't have the patience or even the proper facilities for doing it the "proper" way. Using an oil extractor to remove the old oil can really save a lot of time and energy, but even so, how exactly is this done? Below are some simple instructions for changing your vehicle's oil with an oil extractor. When you have finally selected the right oil extractor, you can typically operate it manually, unless you have a pneumatic type. However, the majority of oil extractors on the market, as well as most of the ones reviewed above, are manual, so these instructions will apply only to manual oil extractors. First things first - you need to attach your dipstick tube to your extractor. Almost all extractors come with dipstick tubes, and some with multiple tubes of varying sizes. Whichever is the case, make sure your dipstick tube is long enough to reach down to the bottom of your car's oil pan while still allowing your oil extractor to sit steadily on a flat surface. 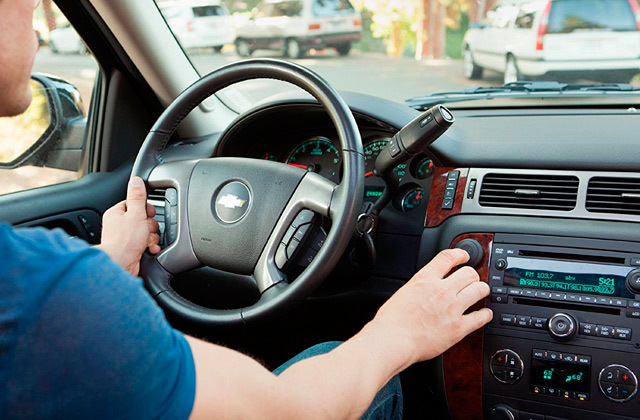 The dipstick tube is meant to feed into the oil dipstick slot on your vehicle's engine. If you're unsure of how far down it needs to go, remove the dipstick from the slot, line it up with the end of the tube that will go into the oil pan, and mark off the other end of the tube, which should show where it will line up with the dipstick slot opening. This will help you in measuring how far down to put the tube. Once you have the tube in the oil pan, you should then attach a tube clamp (if included). Once the tube clamp is attached, or the valve on the extractor is closed, make sure that all other openings on the extractor are secured tightly and then start pumping the handle. The pumping action of the handle should create a tight vacuum inside of the extraction tank, which will then provide the suction necessary to create the flow of fluids from the engine into the tank. Once enough of a vacuum is created, loosen the clamp or open the valve, and the extraction process should begin. The length of time that the extraction process will take will depend on a number of factors, including the size of the dipstick tube's diameter, the total amount of fluid being extracted, and even the viscosity of the fluid. Typically, fluids with a lower viscosity will take much less time than those with a higher viscosity, meaning that high viscosity oil will generally take more than just a few minutes. Once the extraction is finished and the dipstick tube is clear of fluids, close the valve on your extractor, remove the dipstick tube, and then you can safely dispose of the extracted fluids. 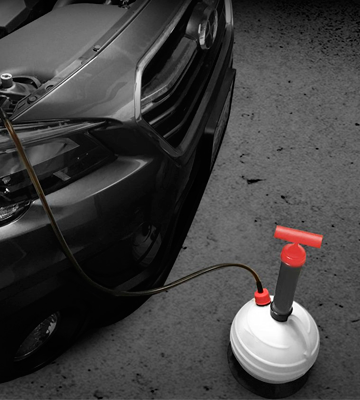 As you can see, using an oil extractor can greatly simplify the process of changing your vehicle's oil!